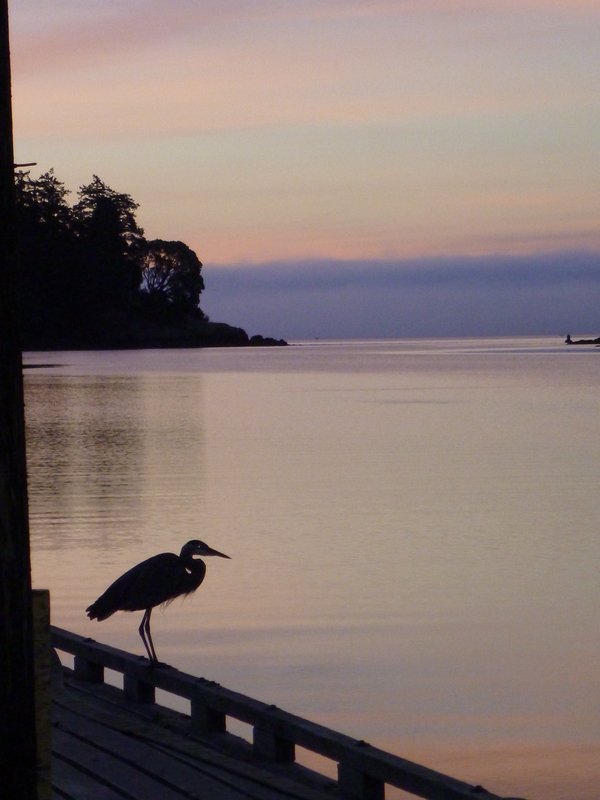 A hungry heron met me on the dock at 6:30 am today. 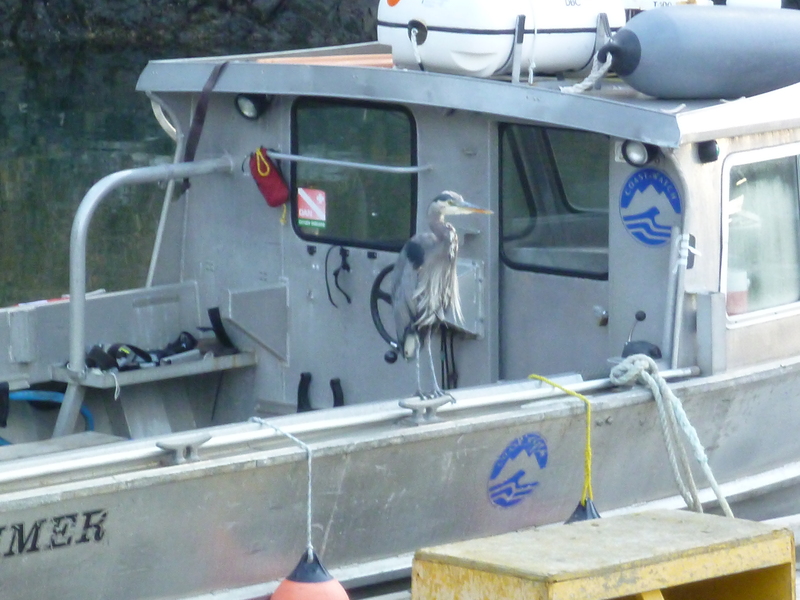 As I was preparing for a trip to the mudflats, the heron captured and ate a herring then flew away. 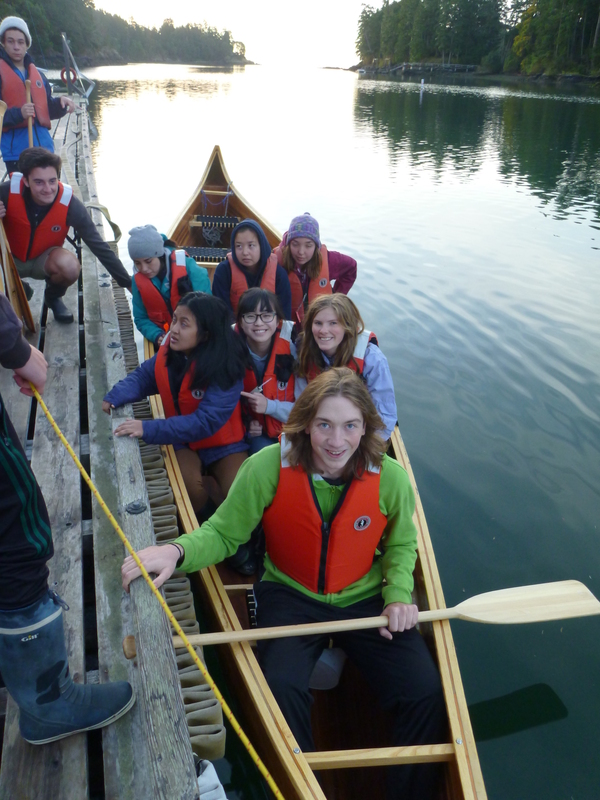 Second year students from A block trickled down to the dock, got suited up and loaded in to the voyageur canoe. 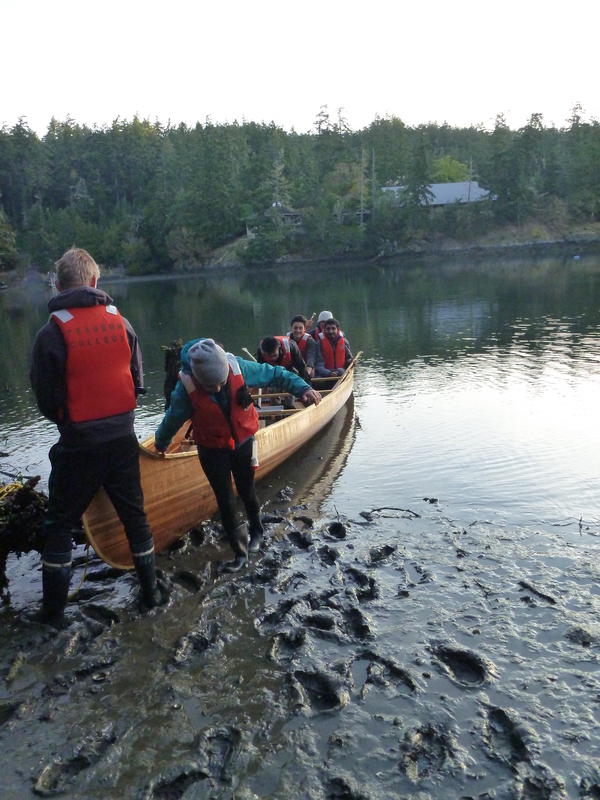 We paddled across Pedder Bay and arrived at a unique and challenging ecosystem. 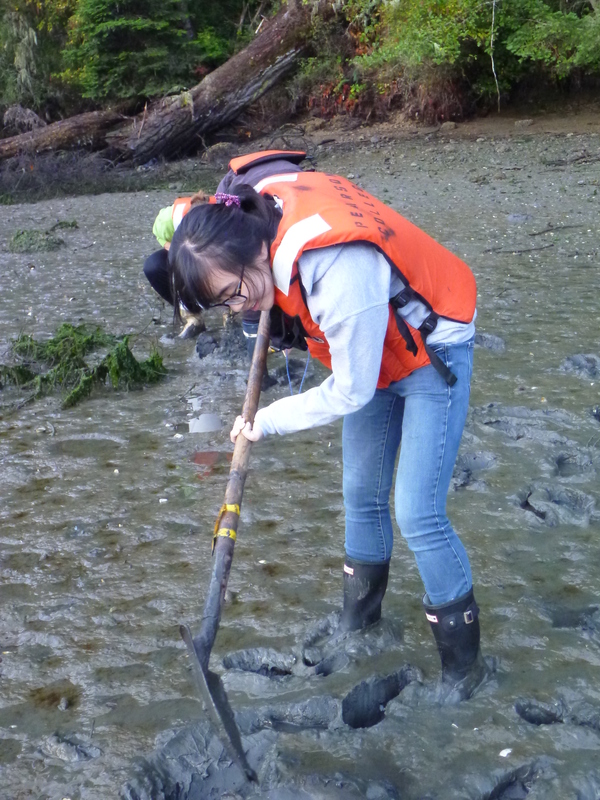 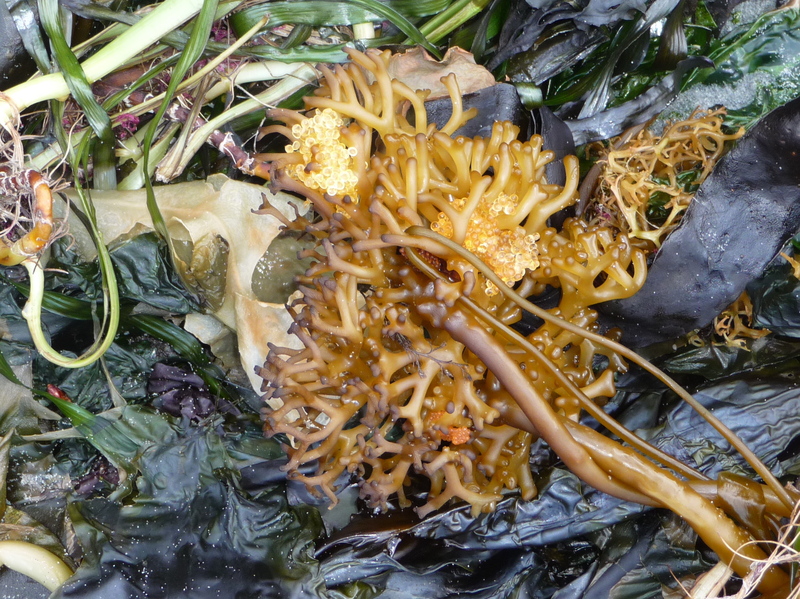 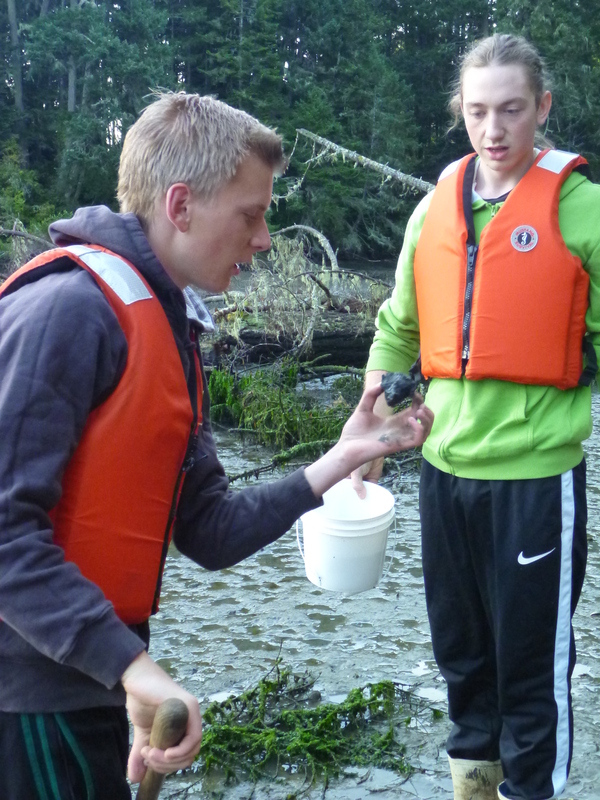 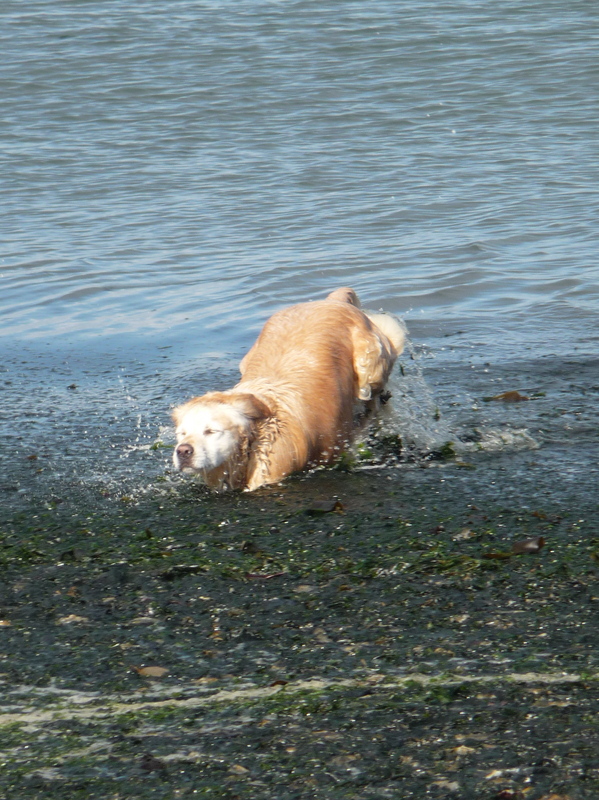 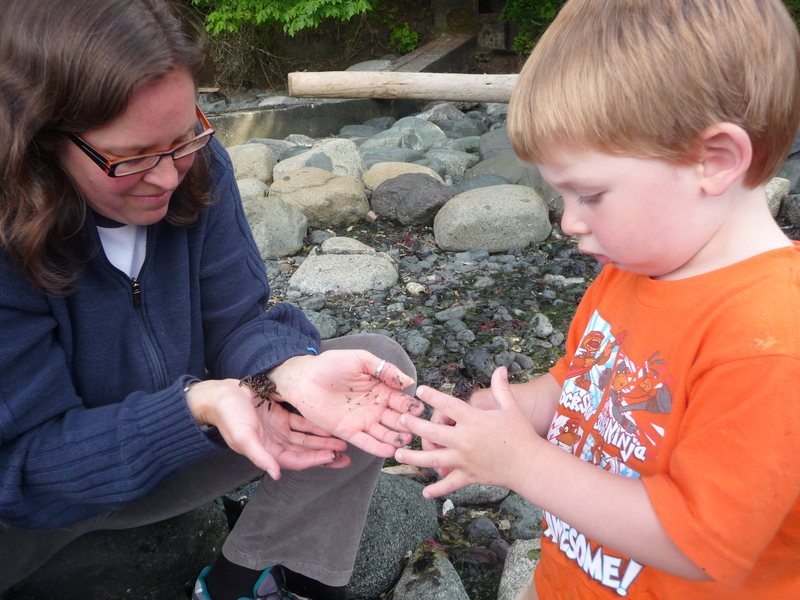 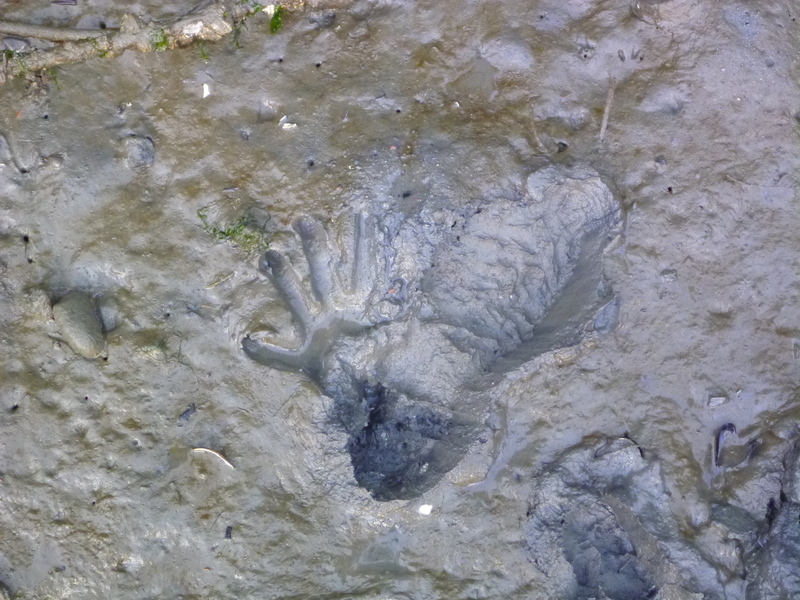 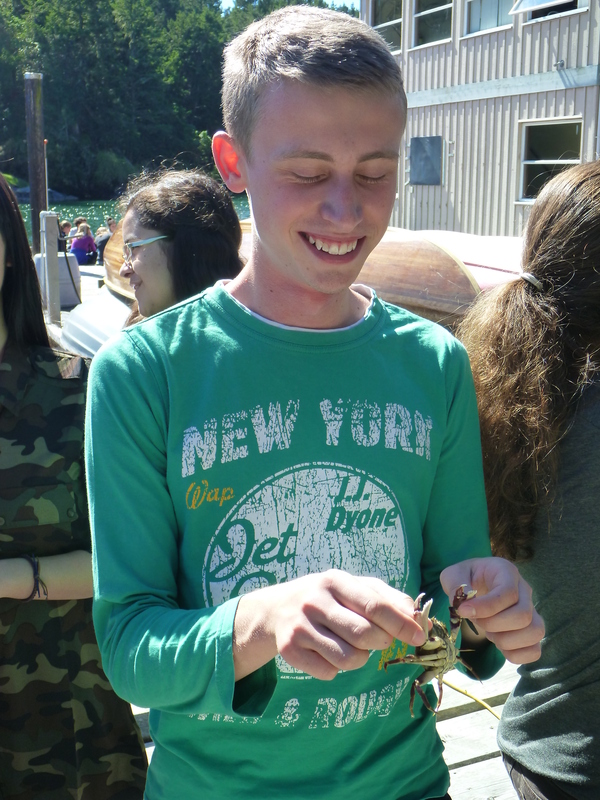 We dug around in the mud collected a few organisms (clams, worms and crabs – we’ll make a more detailed species list in class…), then headed back to the College almost in time for 8 am classes! 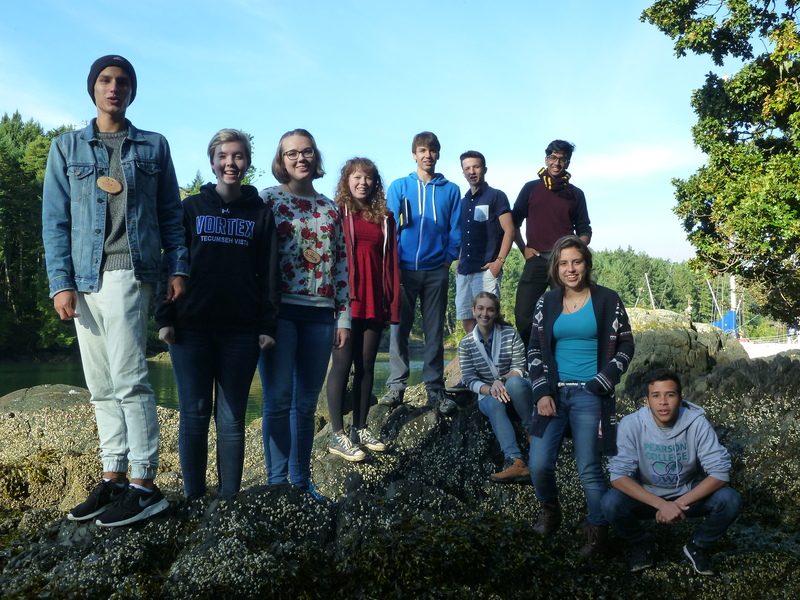 My 8 am class was a group of first year marine scientists (B block, see below) who were a great help at taking the voyageur canoe out of the water and cleaning the mud off of it – thank you! 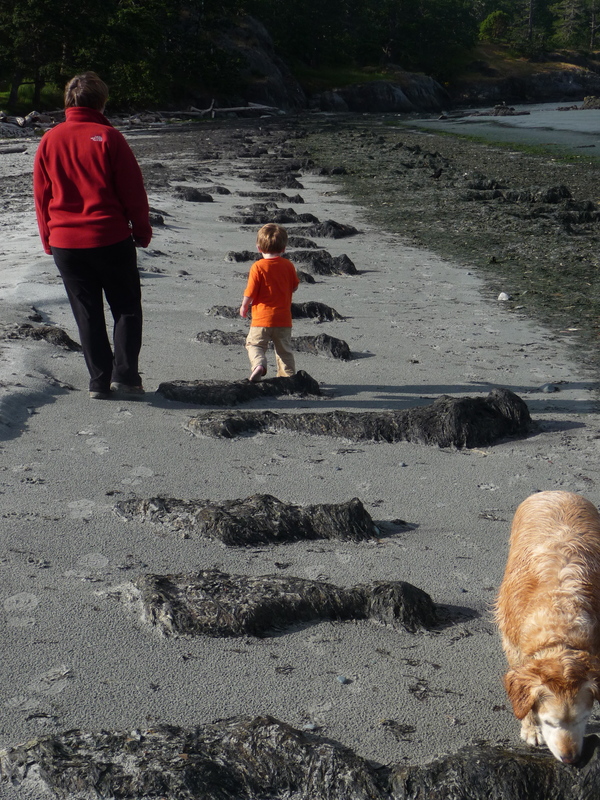 We then went to the Director’s intertidal to do some explorations of a rocky intertidal zone. 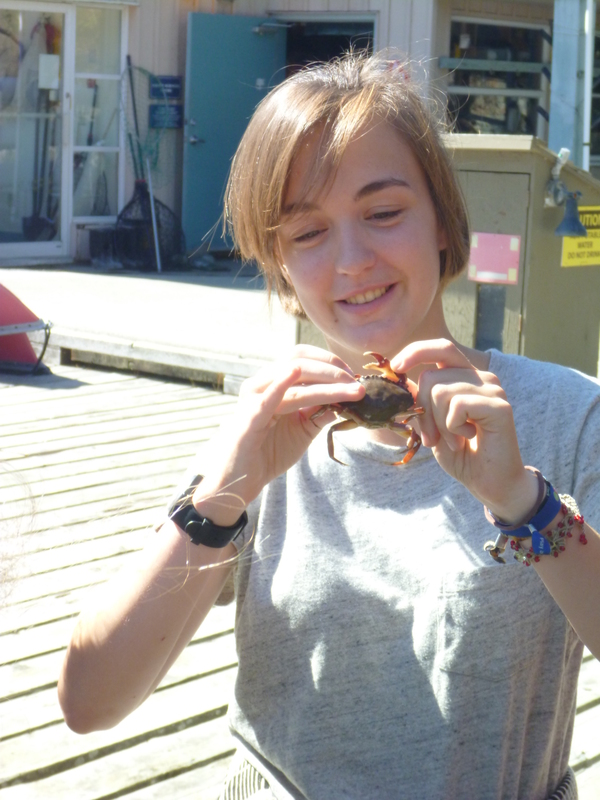 Then I spent the afternoon with another first year class of marine scientists on the Pearson College dock and examining some of the mudflat critters found this morning. 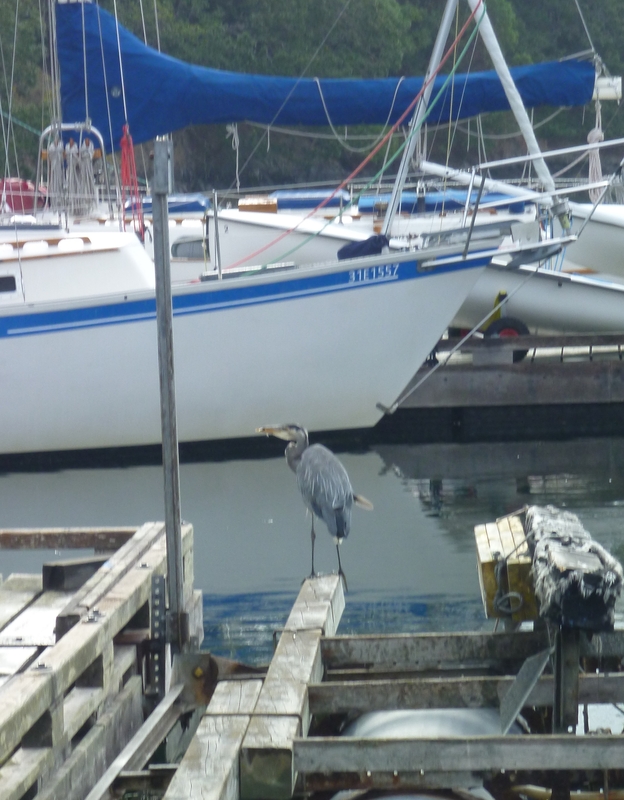 Although the resolution of the photo is not great, the Great Blue Heron (Ardea herodias) does have herring (Clupea pallasii) in its bill. 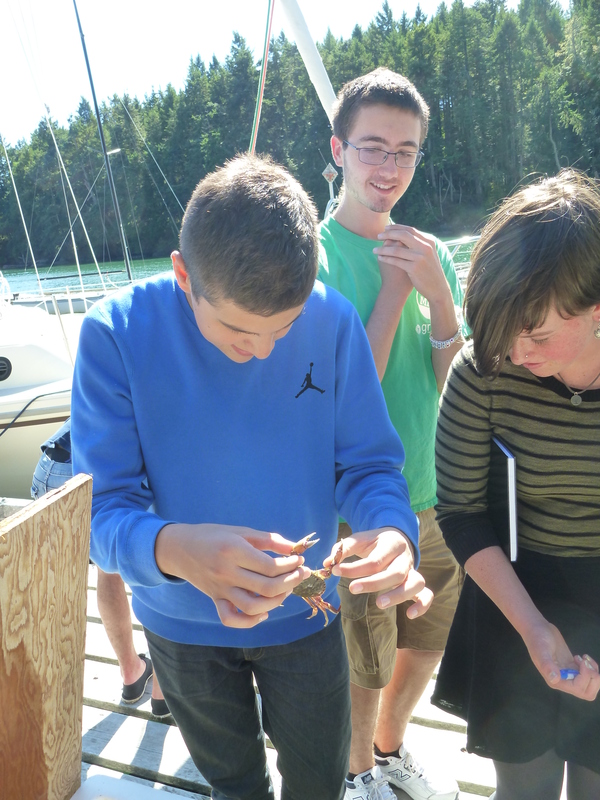 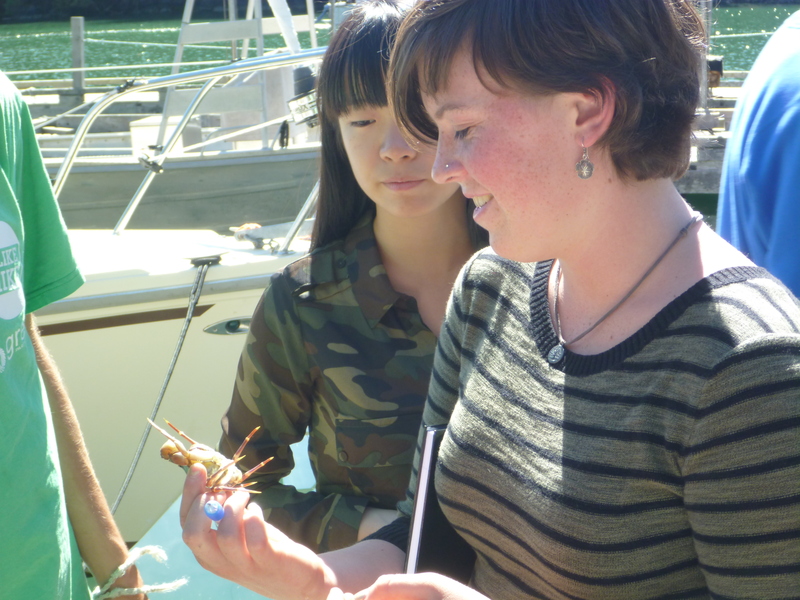 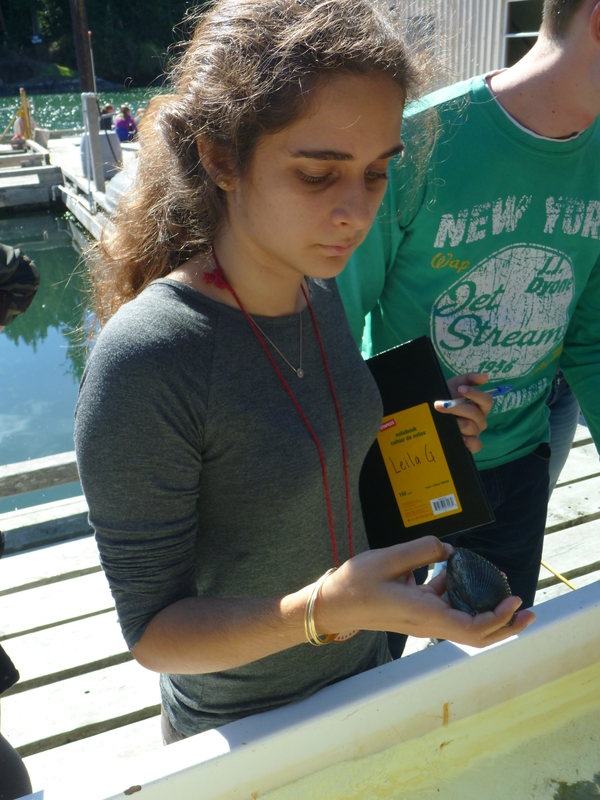 First year marine scientists watched the heron spear, adjust and swallow the little fish on their first class visit to the Pearson College dock. 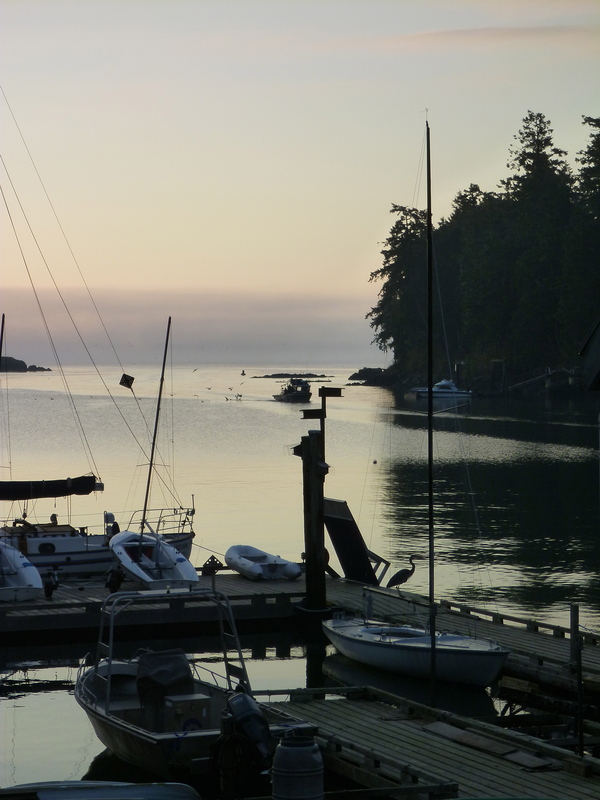 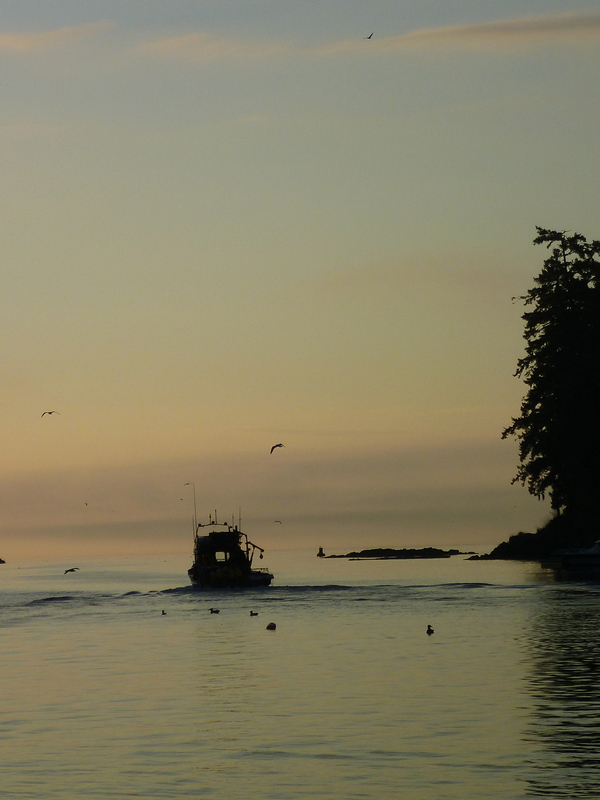 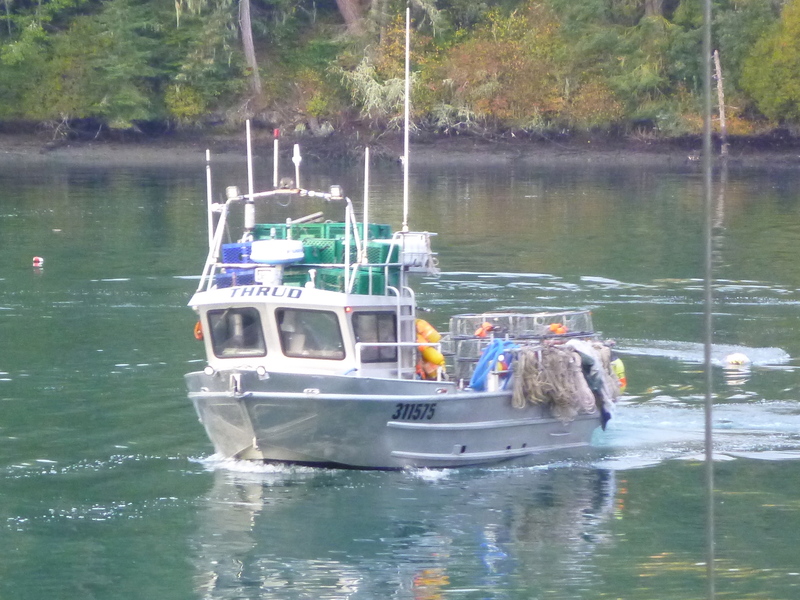 Tuesday morning (7 October 2014) between 7:30 and 7:45 am the crab boat ‘Thrud’ was pulling up traps in Pedder Bay and was being followed by a big group of gulls. 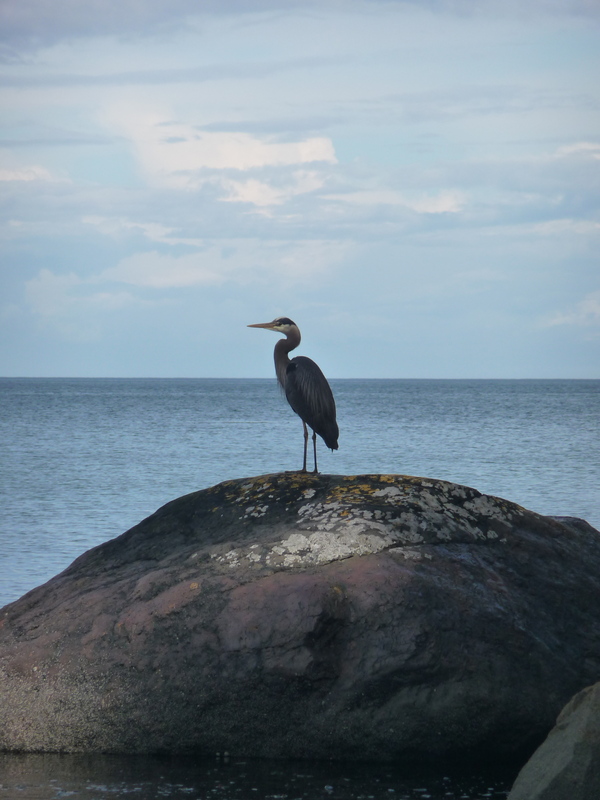 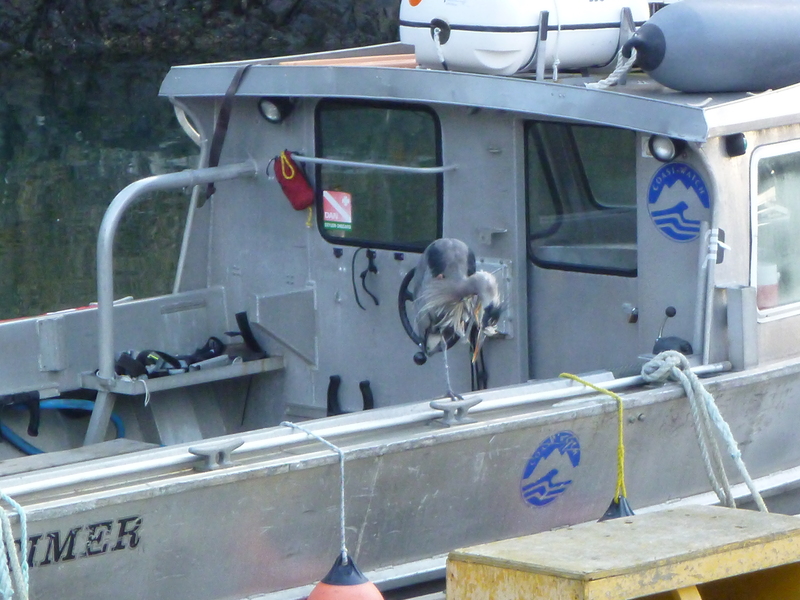 This Great Blue Heron (Ardea herodias) was watching for herring while standing on the boat ‘Second Nature’ this morning.